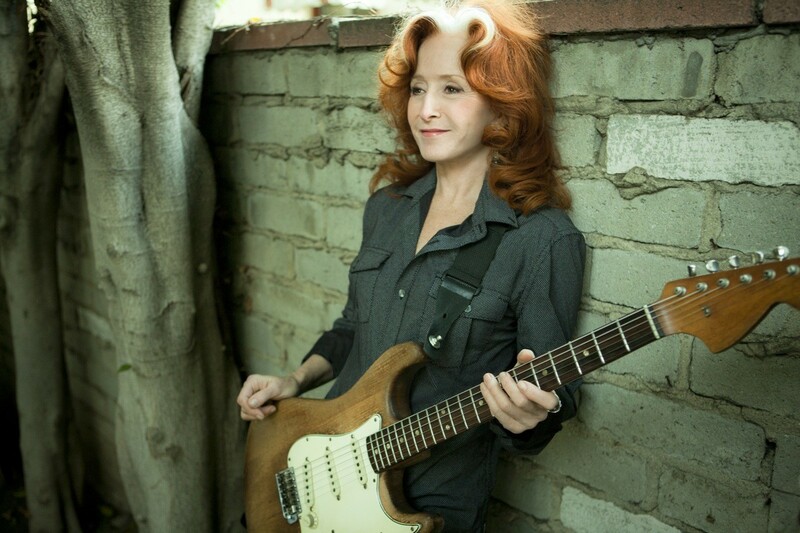 Bonnie Raitt's voice and guitar-playing skills gave Spokane something to talk about last night. The emotions ran wild last night. One woman in front of me burst into tears right before diva extraordinaire Bonnie Raitt left the INB Performing Arts Center stage for the first time. She pulled her husband in for a hug and sobbed into his chest. Another older man in the audience kept waving his arms around. He yelled at folks surrounding him when they weren't showing as much passion as he was. But the person who took the cake? Allen Stone. Yes, Chewelah's own bluesman Allen Stone, who's currently signed to Capitol Records, sat directly in the middle of the packed-in INB auditorium (all three tiers were mostly filled in) and danced his heart out to a few of Raitt's upbeat numbers, like "Something to Talk About" and the Zimbabwean hymn "Hear Me Lord." He motioned to the audience to stand with him. Many followed. Last night, the mostly older audience — Raitt is 66 after all — was treated to one of the most talented guitar players of all time along with her incredible band. Raitt's slide-guitar prowess was on full display, shredding up every guitar she was given, which was essentially a new one for each song. When she brought out opener Richard Thompson, the two rocked out on the acoustic guitar together for the heartfelt "Dimming of the Day," which was written by Thompson. Throughout her nearly two-hour set, the absolutely tiny Raitt kept things rolling, commenting on how she was happy to be back in this beautiful city, one without humidity. "We've been playing outside for weeks now and this is wonderful," she said. "By this time we're used to being completely wet." 1) Lest we forget that Raitt is a cool blueswoman first, she sat down to take on Skip James' "Devil Got My Woman." It's not often you get her the woman play and sing the blues with such grit and soul. The slides and finger turns complemented her warbling vocals with that imperfect perfection needed to get to the heart of the tune. 2) When she played John Prine's "Angel From Montgomery," her voice soared to the heavens. The stage background, which looked like a sky at sunset, made her seem like she was floating. All that was missing was a big fan to blow air through her hair. The song was made all the more emotional as she dedicated it to her friend Jim Boyd, a Colville tribal leader and songwriter who recently passed away. 3) Raitt came back out, as we knew she would for her encore, and there was one last song the audience needed to hear. Getting into "I Can't Make You Love Me," she toyed with the rhythm of the verses before hitting the belting chorus. Her chill-inducing rendition kept the audience in total awe. She's still got it.